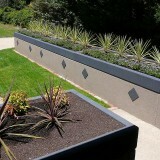 Imagine having your retaining wall store rain water and be a feature for your property. Seems impossible doesn’t it?. Well its not and lots of people are doing it already. 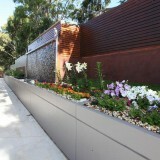 Please peruse these lovely retaining wall images above and below showing what many people have been doing with their Landscape Tanks. 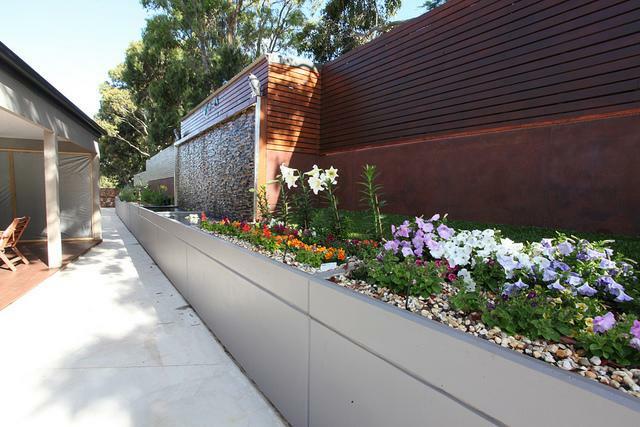 Apart from looking terrific they also feature a planter boxes on top of the water tanks for growing or plants or herbs and the like. Stunning appearance – add that WOW factor to your home. 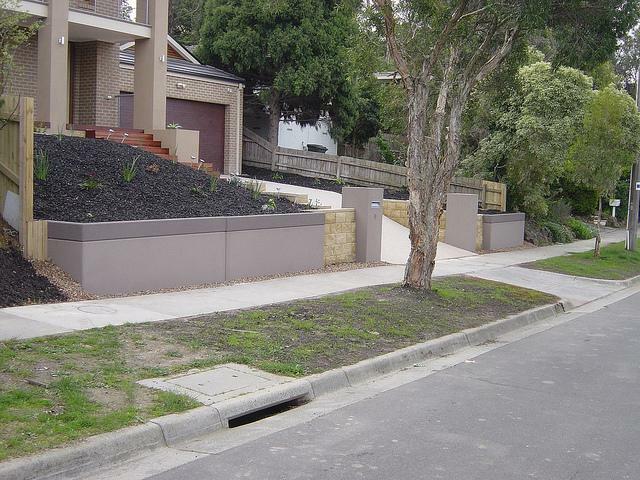 Great pricing – more than competitive to a normal concrete block retaining wall. 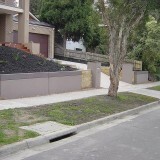 High grade (50mpa) concrete to last a lifetime. Will look as good in 100+ years as the day they are installed. 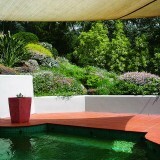 The planter top is not limited to just growing plants. Australian made and owned – patented. We welcome the opportunity to share ideas and to issue a firm quote if required. Delivery usually tanks an hour or two and will deliver an instant retaining wall, which can be back filled immediately if required. 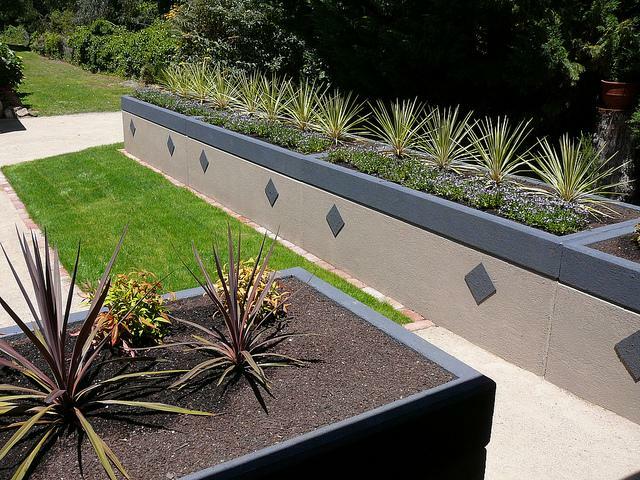 Whether you are looking for a retaining wall in Melbourne or a retaining wall in Sydney these brilliant Landscape Tanks are a must for any quality property. Plumbing is the same as a normal rainwater tank. The tanks are joined together using an inbuilt patented “O” ring rubber seal system and A PVC pipe is simply inserted between the tanks during installation for a watertight seal. The Landscape Tanks may be located anywhere around the property in any configuration. Please download the technical specifications under “Downloads” (pdf) for more detailed information. Prices vary a little state to state and area to area and numbers of units under consideration so give us a call for a ball park figure initially pending a firm written quote. 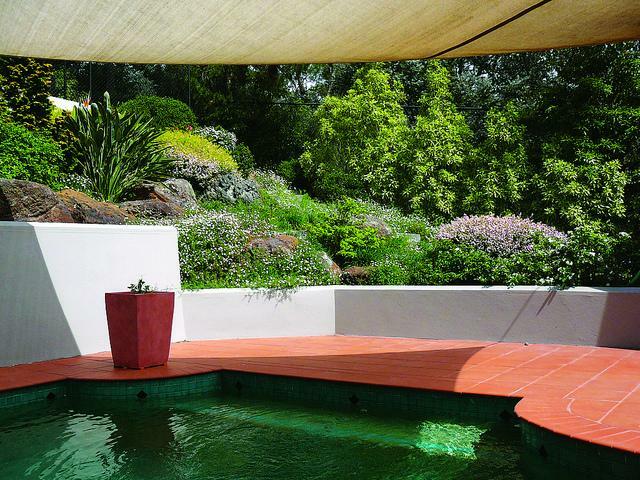 Australian made and owned – deal direct with the manufacturer and save – available Australia wide.